New Delhi: In a retreat from the government’s previous stand over falling production at Reliance Industries Ltd’s (RIL) D6 field in the Krishna Godavari (KG) basin, oil minister S. Jaipal Reddy said on Friday that the production sharing contract (PSC) will not be changed. His remarks come in the backdrop of Reliance initiating arbitration proceedings in anticipation of the government’s reported move to restrict the cost recoverable by the firm for developing the D6 field depending on the level of utilization. Interestingly, in response to a question about whether the PSC provides for restricting cost-recovery, news agency PTI had cited petroleum secretary G.C. Chaturvedi on 22 November as saying “we are studying that" but clarified that the government will not hesitate “to amend the PSC if required." Mint had reported on 14 September that India’s solicitor general Rohinton F. Nariman had given an opinion to the oil ministry stating that RIL should only be allowed to recover the cost incurred in developing D6 proportionate to the level of utilization of the field. 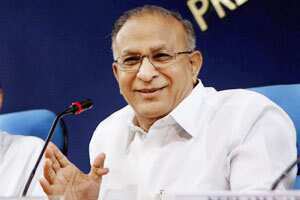 On 9 November, oil minister S. Jaipal Reddy accepted Nariman’s opinion. The D6 block is also at the centre of a controversy after the Comptroller and Auditor General said in a report that RIL had breached some terms of its contract with the government. “The move by RIL for arbitration is under our consideration. There is a provision in PSC for arbitration. Therefore, I see no problem in this. We need to seek advice and will expedite the process. The interpretation (of the PSC) will be among the issues for arbitration apart from the cost," Reddy said. The oil ministry had sought the views of the law ministry, which in turn passed on the request to Nariman, after RIL failed to meet its own target for gas generation in the D6 offshore block despite having claimed associated costs as deductions before estimating the profit to be shared with the government. Such front-loading of the costs means the revenue to be shared with the government drops correspondingly. RIL had invested $5.69 billion in the block as of 31 March and recovered $5.26 billion. Toning down the tough stance taken by the government, Reddy said, “I have no reservation at all about the pace of gas output on KG basin. If there are some points of dispute, they will be discussed." by the firm projects a gas production of 61.88 million standard cubic metres per day (mscmd) from 1 July 2010 and 80 mscmd from 1 July 2011. For the first half of fiscal 2012, gas output averaged 46.6 mscmd, according to an RIL investor presentation. In his opinion given to the law ministry on 17 August, Nariman said: “The costs/expenditure incurred in constructing production/processing facilities and pipelines that are currently underutilized/have excess capacity cannot be recovered against the value of petroleum" by the company, and advised the government not to “allow cost recoveries on this account in future periods."